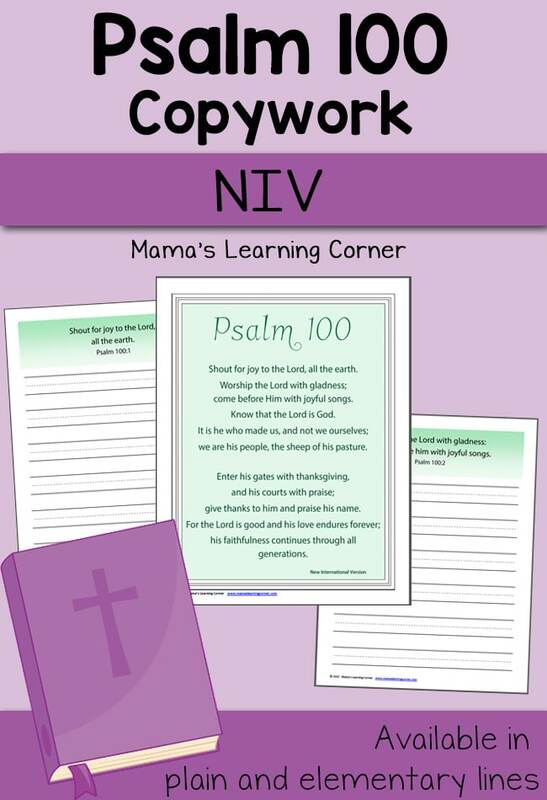 Here is a FREE Psalm 100 Copywork pack. This set includes two types of lined pages. One set is for early elementary and the other is for older children.